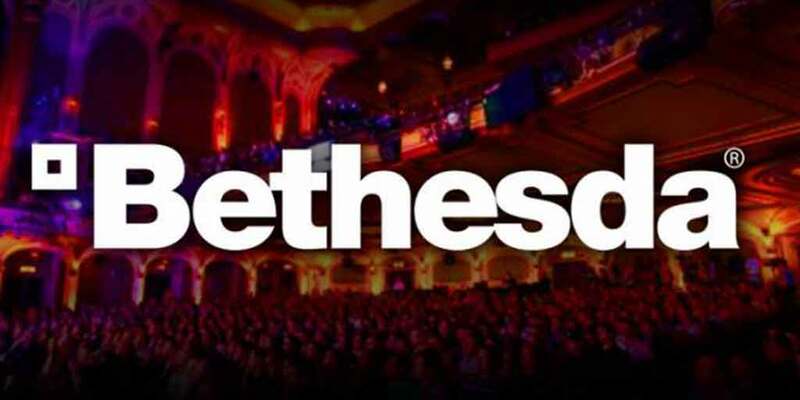 Bethesda At E3 2017: What To Reasonably Expect | Nerd Much? When Microsoft first announced that they were targeting Sunday afternoon for their E3 press conference date, many speculated that Bethesda would be strong-armed into moving from their typical Sunday slot. That, of course, was not the case. The publisher, throwing a playful jab at Microsoft, confirmed they would remain a Sunday evening staple with plans to hold their own conference at 7:00 p.m.
That, of course, was not the case. The publisher, throwing a playful jab at Microsoft, confirmed they would remain a Sunday evening staple with plans to hold their own conference at 7:00 p.m.
Bethesda and Nintendo were mum on this project for a while. But now that Breath of the Wild has had plenty of time to shine (and shine it did! ), fans can look forward to The Elder Scrolls V: Skyrim being one of their next huge open-world Switch title. Despite appearing in the first Nintendo Switch sizzle reel, Skyrim for Switch wasn’t even official until Todd Howard finally spoke on it back in January. And yet still, we don’t actually know if this is the Special Edition that hit Xbox One and PlayStation 4 recently, or just a improved version of the original that you can now take on the go. Expect Bethesda to utilize the current hype that’s surrounding the Switch and jump out of the gates with a Skyrim showcase. Is this an even newer and more improved version of the game? Or at the very least a port of the Special Edition? Anything less than that will land with a resounding thud and will surely damage the Bethesda/Nintendo relationship that’s hopefully blossoming. We’ll find out soon enough. With the aforementioned Skyrim for Switch likely being demoed, Bethesda would be completely cutting its legs out from under it if they were to announce the next big entry in the Elder Scrolls series. With how far Skyrim carried the franchise over the last six years, you can expect Bethesda to hold off one more year before announcing the next major game for the series. Slot Skyrim‘s sequel for E3 2018. Fallout 4, however, wasn’t quite the awe-inspiring title that Bethesda was hoping it would be. What was amazing was that Bethesda could reveal the AAA game at E3 2015 and then release it just five months later. It’s a true testament to the publisher shaking up the common conceptions of the industry’s marketing and press machines. During Bethesda’s E3 2016 conference, they showcased both Fallout 4 and Doom running on VR headsets. We’ve heard a bit about the progress of the former here and there, but little to nothing on Doom VR. It’s unclear at this point if the Doom experiment continued and developed into a proper title. Fallout 4 though, we know is on the way. High praise indeed. Fallout 4 VR is poised to release later this year. So E3 is Bethesda’s opportunity to showcase how special this once demo turned out to be. Let’s just hope that Doom VR didn’t hit the cutting room floor and surprises us here as well. Bethesda’s Prey reboot is hitting PC, Xbox One and PlayStation 4 on May 5th. The limited time that the press has had with the game is leading to favorable buzz, so there’s assuredly a post-release plan over at Bethesda for the game. We’re likely to hear all about it first at Bethesdaland. We’ll be just a month removed from the game’s release, and people around with world will have likely just finished up Prey‘s narrative. I wouldn’t expect much more than a tease and a release window, but Bethesda will be happy to let you know that premium DLC is on the way for Prey. If for nothing else they can make sure you don’t go turning those discs into Gamestop. For more on Prey, check out our hands-on preview. 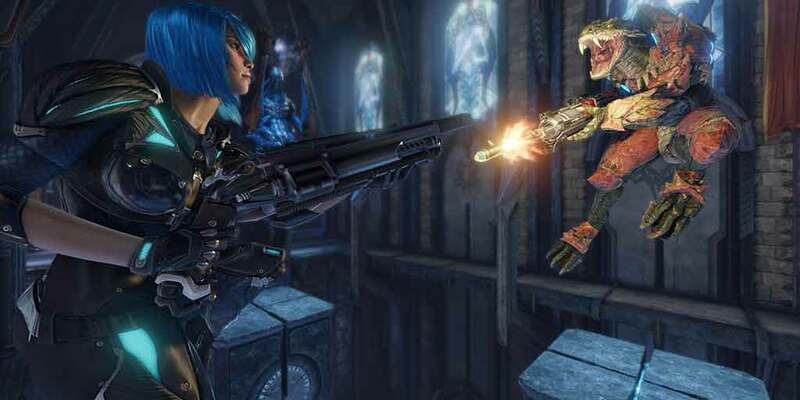 One of the overshadowed darlings at last year’s E3, expect Quake Champions to shine in 2017. The game is currently going through a closed beta as we speak. However, there is a strict NDA invoked. So the public hasn’t seen much of the title outside of the E3 2016 trailer. But what they saw in trailer form they certainly liked. Expect Bethesda to kick the doors open on this one. Quake will be a highlight title for the publisher at this year’s show and they’ll provide a fantastic glimpse at the arena shooter to get everyone talking. The formal details surrounding the game are vague at best right now. So surely Hines, Howard and the idSoftware team will be happy to announce when you can expect to get your hands on it. And if we’re lucky even open beta dates to boot. I’m expecting this to be the big gun of Bethesda’s 2017 presentation. Pun intended. Bethesda did something very clever with their reveal of a new Wolfenstein title last year. They never actually acknowledged its existence, but instead “accidentally” revealed a drive directory containing the title “Wolfenstein: The New Colossus.“ It was just enough to whet appetites and get a conversation started. We know this game is coming, and with another year of development officially in the books, it’s likely ready to shine. Wolfenstein: The Old Blood released in May of 2015. Thus, MachineGames has had a full two years to put in work on the surprising hit’s sequel development. It’s time to see what all of that hard work has lead to. Doom released back in May of 2016 with little expectations. It then blew the press away. Wolfenstein: The Old Blood sort of had the same track when it released in May of 2015. Under Bethesda’s care, these series are both strong franchises once again. Something the publisher very well knows. I’m confident that once The New Colossus demo starts rolling, the masses will be wowed. Bethesda has something up their sleeve for this game, and I couldn’t be more excited to find out what it is. Only two months left until we find out.